It took a while longer for the word about Patrick Ferguson’s threat to spread to the upper Clinch River. 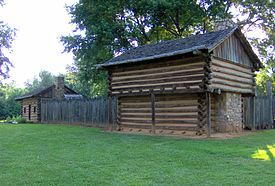 With Captain William Bowen sick at Maiden Spring Fort, Rees Bowen led his brother’s militia company to reach Sycamore Shoals just before the overmountain volunteers pulled out toward Shelving Rock. James Moore of Abb’s Valley was a Lieutenant in Bowen’s company, but there is no conspicuous record of whether he went to Kings Mountain. Some of the (now Tazewell County area) Bowen militia lived northeast across the Washington County line into Colonel William Preston’s Montgomery County militia area. The call to arms went on up to New River where Major Joseph Cloyd mustered several companies. Retaining a smaller guard at the Austinville lead mines, Captains Stephen Trigg, ___ Pearris, and _____ set out through Fancy Gap (Interstate 77) on their way to join the patriot volunteers at Quaker Meadows (Morganton). Cloyd’s Drapers Meadow (Fort Chiswell) troops ran into a Tory force at Shallow Ford of the Yadkin. Colonel Cleveland’s militia had gone south leaving the area open for loyalists to roam. 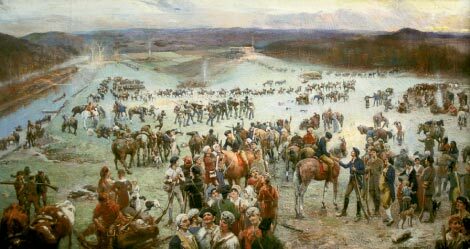 Most of Cloyd’s force were diverted into a battle with the Tories there and only a few reached Kings Mountain by 07Oct1780. 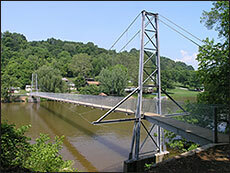 Pearisburg is in Giles County on New River. Radford is up stream (south) from Pearisburg in Pulaski County. According to DE Johnston’s History of Tazewell County, James Moore, Samuel Ferguson, Henry Henninger, Thomas Peery, (the Distiller) Thomas Peery (the Blacksmith) William Peery and John Peery were Montgomery County men who went with Bowen to Kings Mountain. Upper Clinch area map. Click, drag, and zoom. Thomas Peery contributed land where Pisgah Methodist Church built in Tazewell. (Pisgah was the place where Moses was permitted to see the Promised Land. 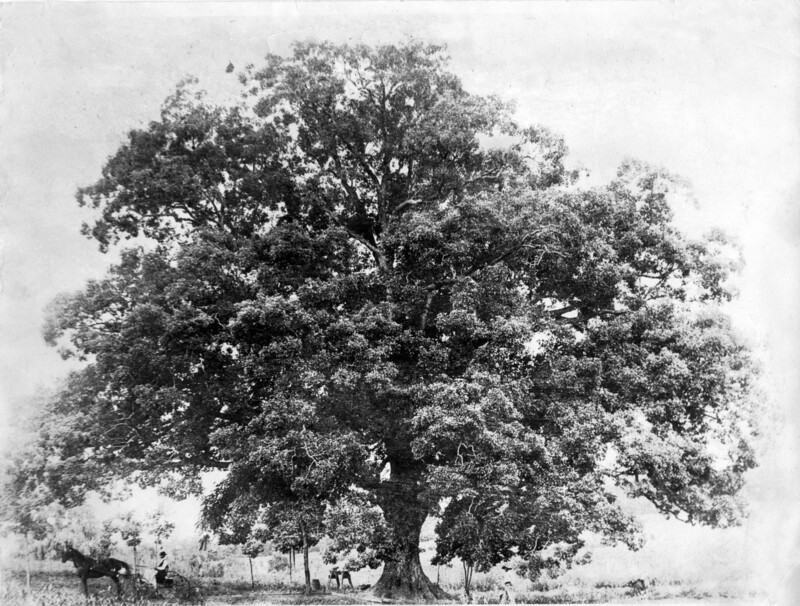 Tradition and imperfect records show that David Ward, Thomas Maxwell, James Laird, Thomas Witten, Jr., John Scaggs, and John and Thomas Peery, father and son, were members of the company that went from Tazewell and joined Campbell at Sycamore Shoals. 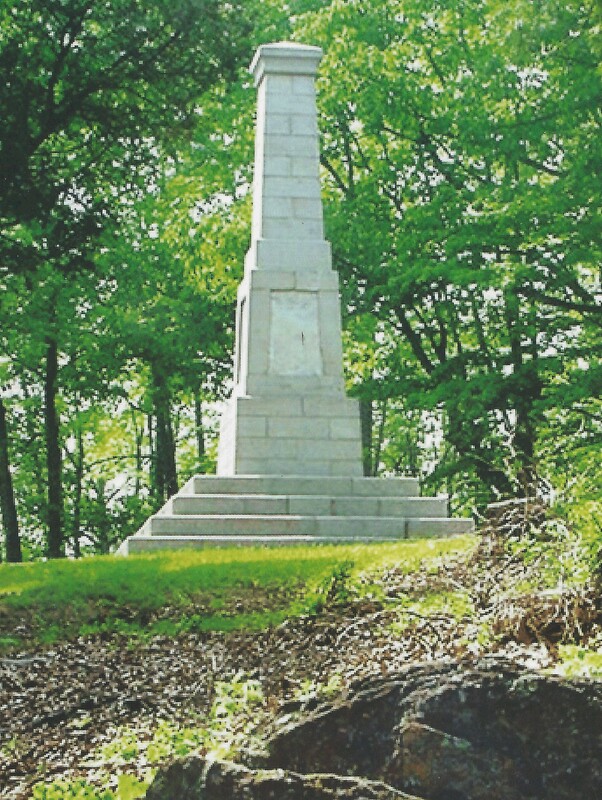 Some accounts show the Peery’s were casualties at Kings Mountain. Lyman Draper, however, gives details of their demise at Guilford Courthouse.